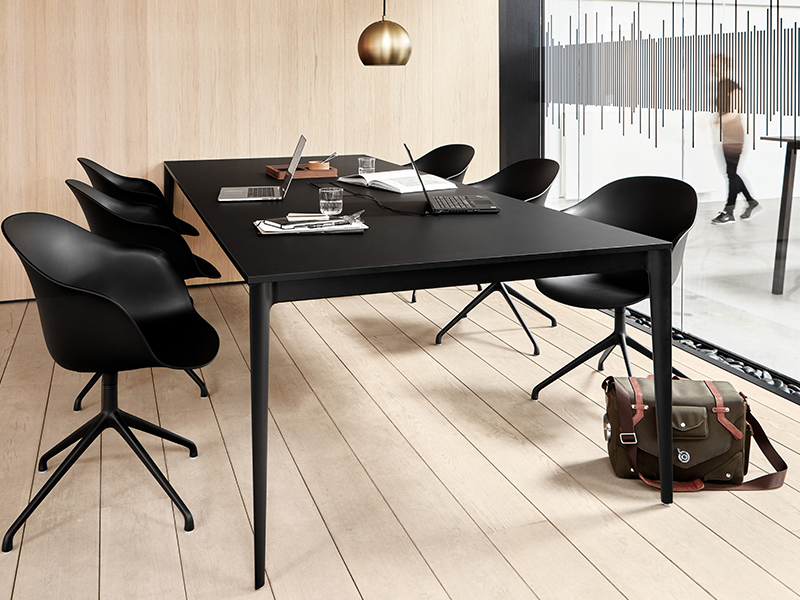 The Torino conference table by BoConcept features an elegant and stylish design. It is the ultimate piece of minimalist furniture and fits right into the Scandinavian style. The monochrome look and clean lines create an elegant from while the narrow table top is perfect for corporate offices. It comes in a full matt black design, perfect for the corporate world. Seating up to 12 guests, the Torino conference table can also be used as a large dining table in homes. it is available in a range of varied sizes, according to your preference.